Our next age group is for toddlers of approximately 18 -24 months up to 3 years of age. Again this is a large bright room where children are able to explore and experience a variety of rich and stimulating learning opportunities to encourage their self-esteem and confidence in a positive way. We provide an enabling environment with areas of provision and resources that are at the children’s level so that can choose and play independently. 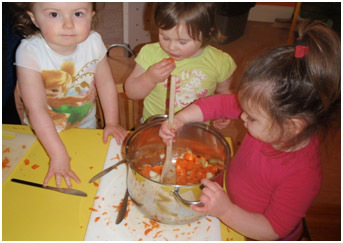 We have a cook who prepares the meals and snacks for the children each day taking into consideration any special dietary requirements a child may have. The menu offers a variety of nutritional foods for the children to experience and enjoy. 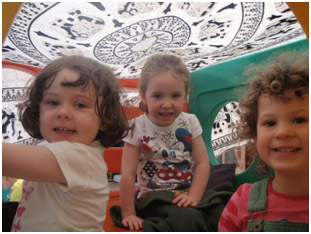 Sleeping facilities are available for younger children with cots and sleep mats as preferred.